If you are lucky enough to be one of those people who understand the importance of nutrition for the general well being of your life, then you know just how important making your own bread really is. Of course, the problem with making your own bread is that it is a lengthy process and it requires a lot of effort. 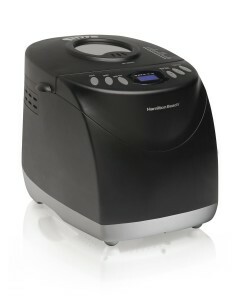 That it only if you are not using one of the bread makers available on the market today. Using one of these high tech bread machines can help you not only make a very healthy loaf of bread, but will also help you do it with almost zero effort. That is why we took a look at some of the best and most affordable bread machines and have created a top 10 best bread makers available on the market in for you. We are going to start with a detailed table to give you a general idea of the available offer and then we are going to give you a detailed review for each one of those products. 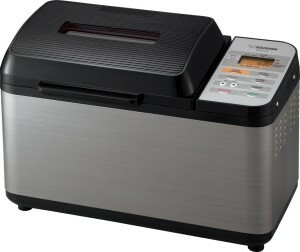 The Panasonic SD-YD250 is basically the standard as far as bread makers are concerned in both price and capabilities. 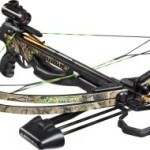 Being a Panasonic product it is also a reliable machine so it is well worth starting the list with it. It is also features one of the biggest flaws of most bread machines in that it uses a bucket to mix and cook the dough so what you end up with does not really look like a loaf of bread. Still the taste is the same and the great thing about the Panasonic is that it will allow you to add in any type of flower and also any type of seeds and seasonings that you may like. It also can be preprogrammed to start making the bread after as much as 13 hours so you can set everything up and the machine will start cooking just in time for you to come home to the smell of a fresh loaf of bread getting ready in the oven. 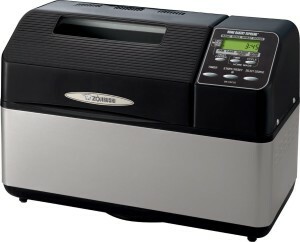 When it comes to making the perfect loaf of homemade bread, you cannot do better than a Zojirushi bread machine. It is a Japanese company so it works perfectly and it was designed for a nation that really needs bread machines. 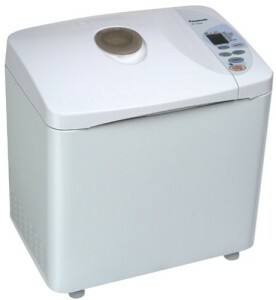 Bread is very expensive in Japan because they are more focused on rice so, if you want to eat really good bread on a day to day basis over there, you need to buy your own bread maker. The Zojirushi creates the perfect shape of bread and it uses 2 blades to mix the dough so it will come out just perfect. It also can be programmed to begin making the bread after as much as 13 hours so you can just put the ingredients in at night, and it will start making the bread just as you wake up. When it comes to bread makers there are only 3 big names to look out for: Panasonic, Zojirushi and Oster. We are going to also look at some of the mavericks in this area, manufacturers who are not main stream but who still managed to impress us, but Oster is one of the more important ones. The Oster CKSTBRTW20 creates bucked shaped loafs of bread but with it you have the ability to pre program the crust darkness level, choose between 9 types of bread making styles and program and set everything up with 13 hours in advance. 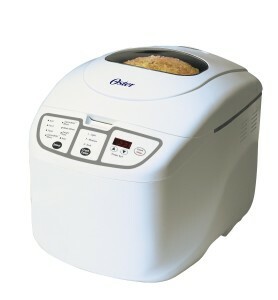 The other thing that really impressed us about the Oster was that it can be set up to have a loaf of bread ready for you in just an hour. We still prefer the bread that was allowed to rise and cook in the normal 2 hours time frame, but the one hour bread was also quite good. We told you that Zojirushi would be an important name on our list and this, the BB-PAC20, is our preferred bread maker in the entire list. It uses dual kneading blades to create the perfect 2 pound loaf of bread that not only tastes great, it also looks the part and is as healthy as can be. It has a build in heater in the lid, so it will cook the bread evenly and you can set it up so that you can get the exact shade of browning you love best on your crust. You can choose between 10 types of pre programmed styles of making bread, but the fastest time you can get out of this machine is two hours. However, the good news is that, you can set it up, just like the other machines, and it will only start working after as much as 13 hours. To give you a hint of just how good this machine is, let us just finish by telling you that it has a 4.6 star rating on Amazon, which is more than any other machine available in the market. Sometimes a smaller bread machine manufacturer, like Sunbeam will be able to come up with a something that will really draw our attention. The thing that we liked the most about the Sunbeam was that it can make a 2 pound loaf of bread but it can also work incredibly well with half that ingredients and deliver an excellent 1 pound loaf. Some of the other machines we have featured here can also do that but we feel that the Sunbeam is the one that really delivers an impeccable level of quality with those smaller amounts. No list of the top 10 best bread makers in the market in would be complete without us looking at some of the more affordable models available. 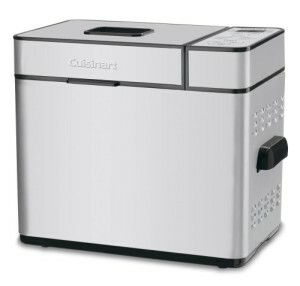 The Cuisinart delivers a relatively good loaf of bread, in about 2 hours, and you can choose between a 1 pound, 1 and a half and 2 pounds loaf of bread. The biggest problem we experience with this machine is that it gets really hot while cooking and you need to make sure not to touch anything but the handles during that time. The Cuisinart is an excellent bread maker for the price, but we also wanted to give you a second choice of an affordable bread machine and we chose the Hamilton. 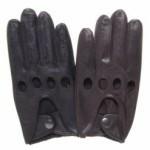 It comes in black and has a much more futuristic look about it. Asides from the looks, though, it delivers the same level of quality, even baking and pre programmable features as the Cuisinart so it is really a matter of visual choice on which one you should choose. 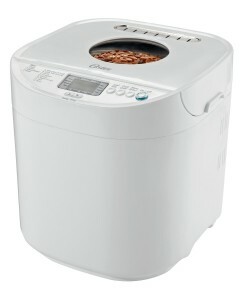 We decided to feature a second Oster bread maker because it has two additional features that the first one did not have. For one it can deliver a loaf of bread in 58 minutes, which is not much faster than the first model we talked about, but it is interesting. The second thing that impressed us was the fact that it can keep the bread over warm for an hour after cooking is done and that can be quite a useful feature. We wanted to give you as many options as we could so we decided to feature another relatively cheap bread machine that has a high 4.0 star rating on Amazon, the Breadman. There is a second reason why we had to feature a Breadman and that is because they are one of the oldest bread machines manufacturers on the market and, with this type of tradition also comes a lot of experience. 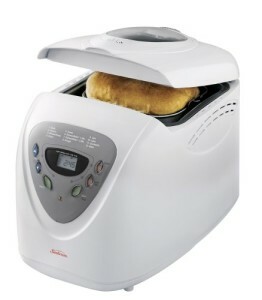 We decided to finish our top 10 best bread makers of list with one of the flashiest models we have seen so far. 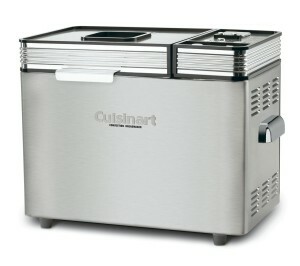 The Cuisinart CBK-200 has a stainless steel body with a view through top window. But the body is not the only flashy part of this machine as it is the only one to have 16 preset menus for making bread and it can deliver 3 crust colors and 3 different sizes of bread. 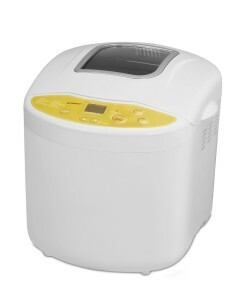 It is also one of the cheapest machines and, sadly, that can also be told in the quality of the bread because this is also the lowest scoring Amazon bread maker at just 3.4 stars.